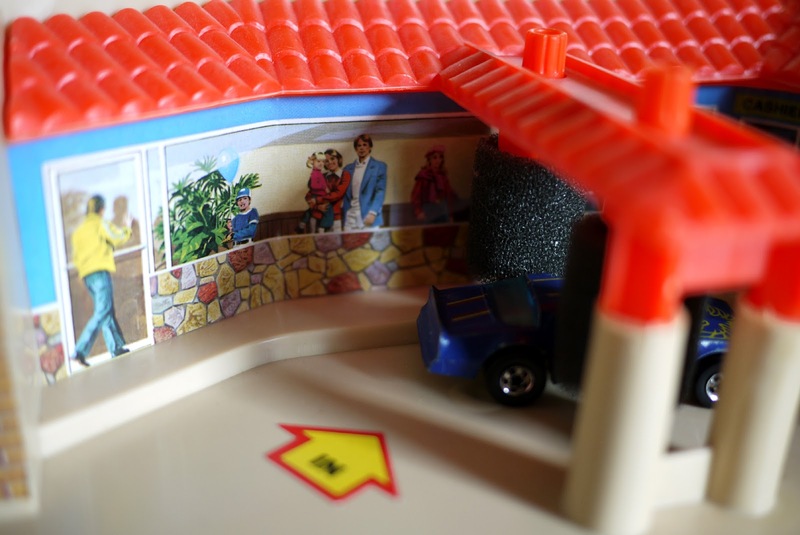 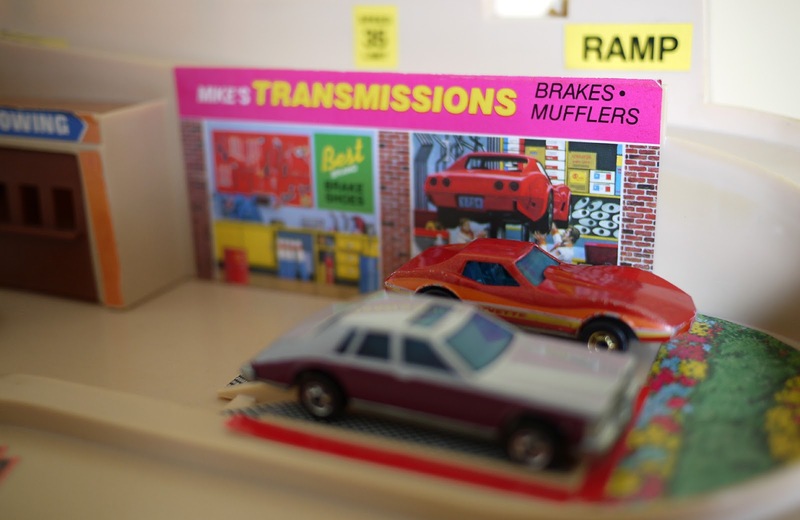 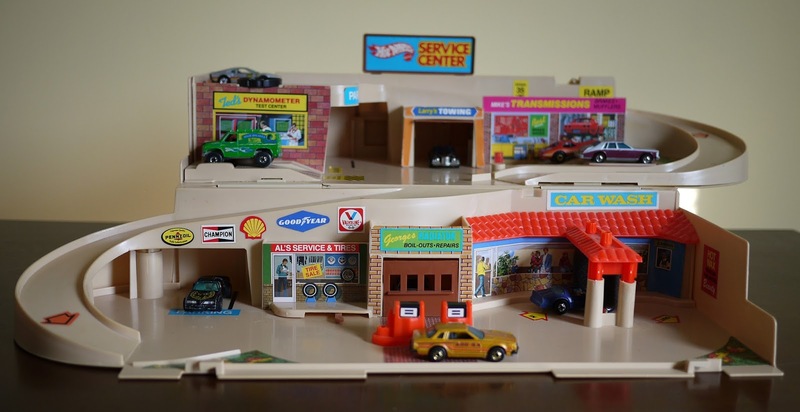 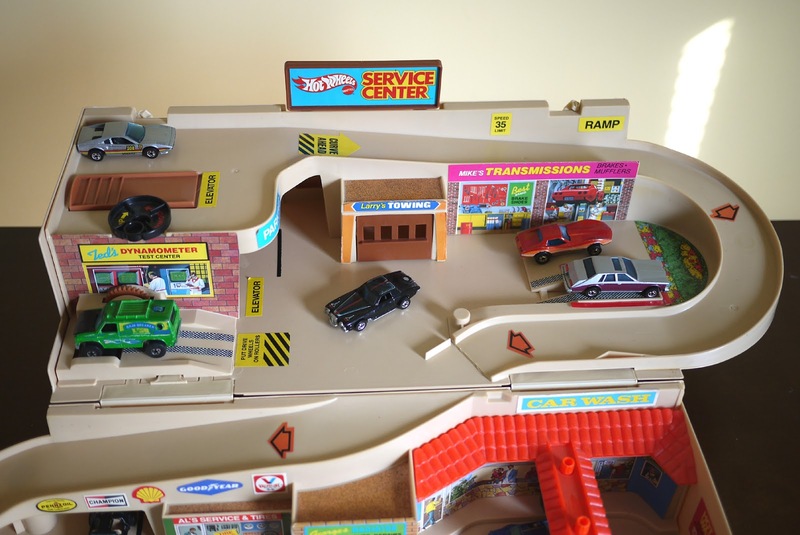 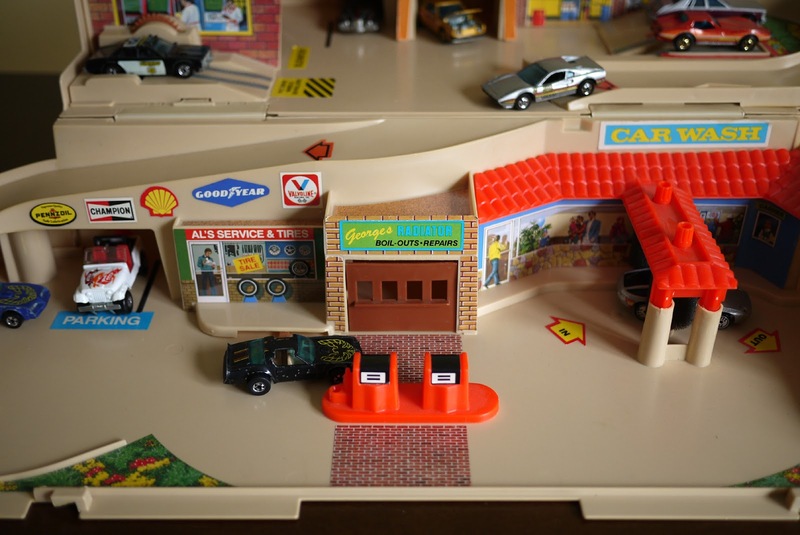 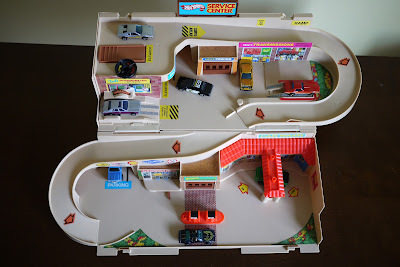 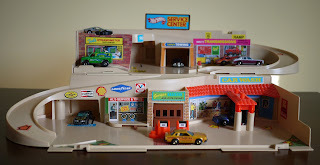 The Hot Wheels Service Center Foldaway Garage is one of a few variations on this style of play set. 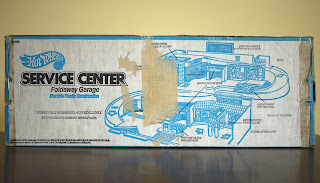 Mattel also made similar sets with construction and military themes, another that added some buildings to the service center layout, and yet another that looks identical to the Foldaway Garage but is called Service Center Sto & Go Set. Aside from the name, one other difference between the Foldaway Garage and Sto & Go Set is that the Sto & Go Set does not include a vehicle whereas the Foldaway Garage includes the Hot Bird (Pontiac Firebird). 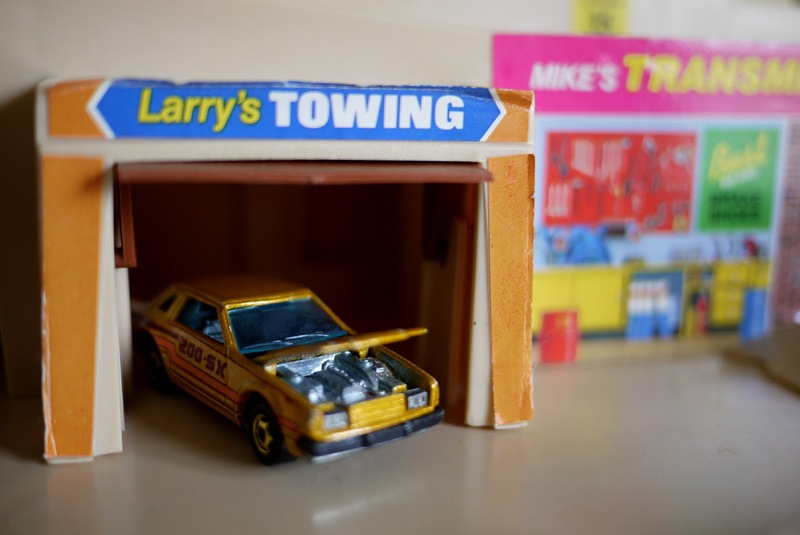 They both list 1979 as the copyright and I'm unable to determine if they did indeed both release that year. 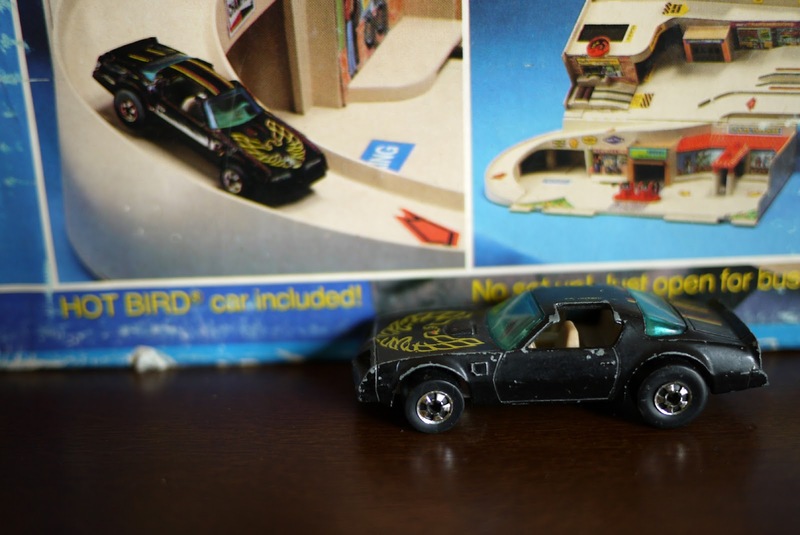 It's most likely that Mattel simply re-packaged the set under a new name and either removed or added the Hot Bird car but left 1979 on the box as that's the year the actual set was produced. 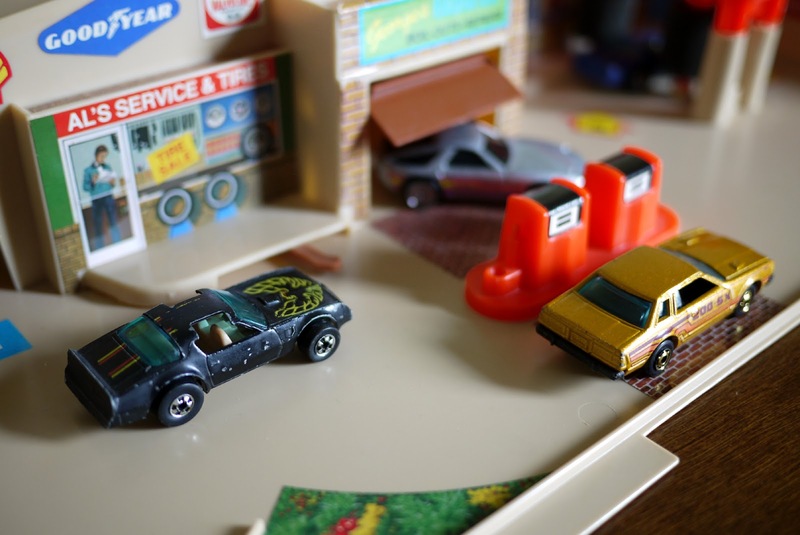 so it does look slightly different than what is seen in the video. 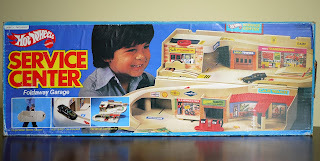 The box back which has a big piece of tape on it. 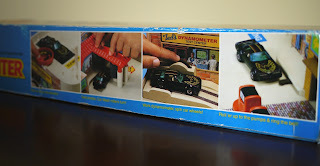 There are two locking mechanisms at the top of the case, a carrying handle, and two legs that support the top level when the set is opened up. 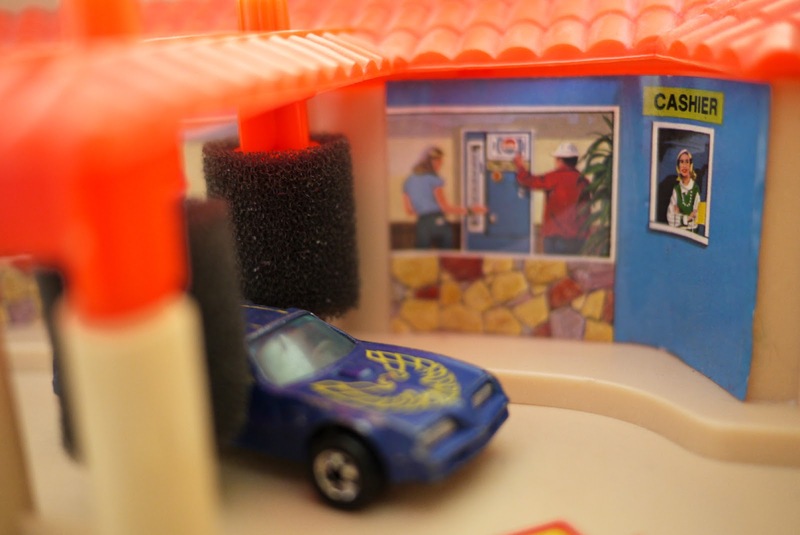 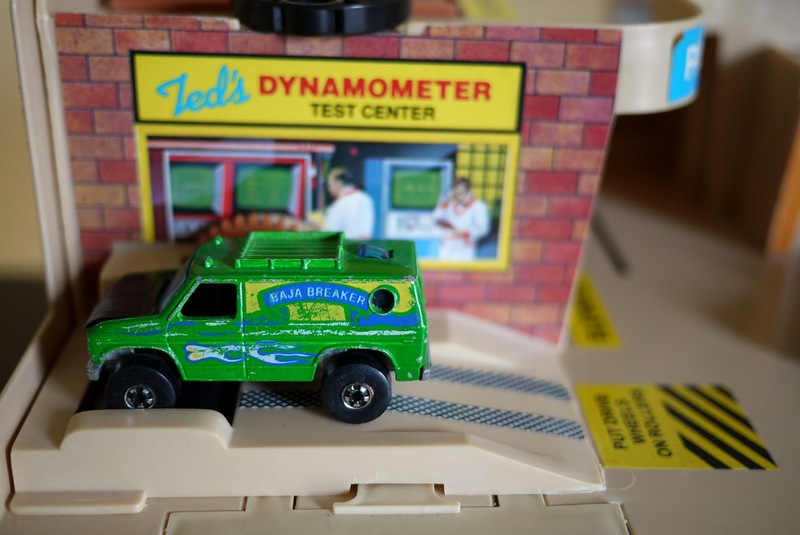 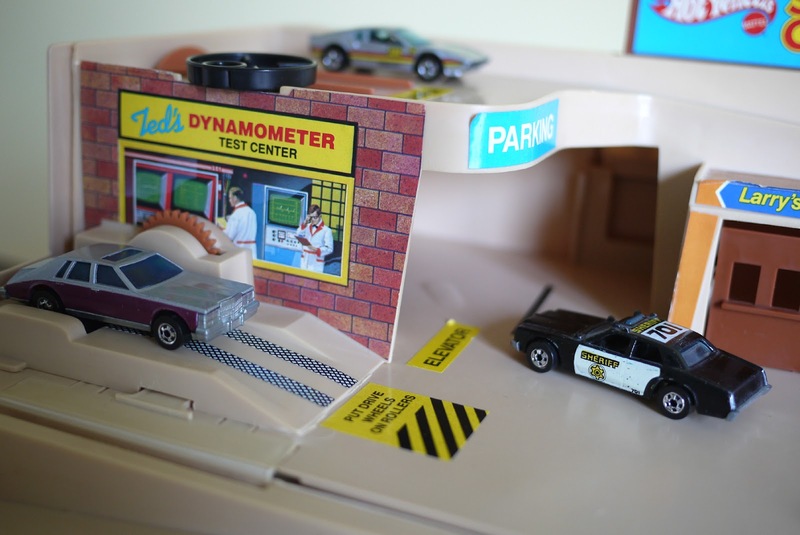 As seen in the video, the set includes two garage doors that can be opened and closed, car wash foam rollers, a manually operated elevator, a "Dynamometer" that rotates vehicle tires, and a service bell near the gas pumps. 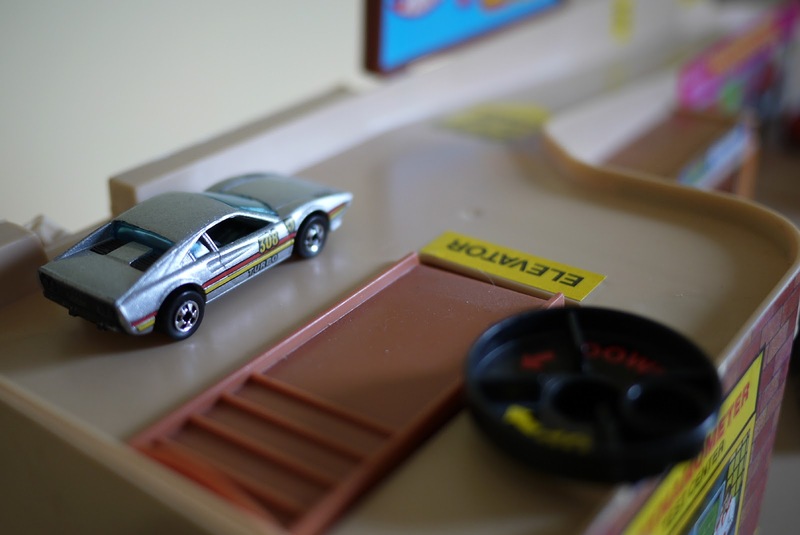 Some of the pictures were taken on different days and in different lighting conditions as I needed to re-shoot a few.